July 14, 2017 July 15, 2017 Ron Thomson 1712 Views 0 Comments however, Killing these nomadic lions does not adversely affect the lion population of Kruger National Park at all, Kruger National Park, principles and practices of wildlife management, Ron Thomson, that when young and/or inexperienced journalists get hold of such stories that they don't report "the facts" (which a good journalist SHOULD do), The TGA is concerned, they report "their opinions of the facts" - laced with high emotion - and in doing that the truth is distorted. The lions which “escaped” from Kruger National Park this week. They did not “escape from the park”. And they were not “curious” – as some people have suggested. They “escaped” from being constantly bullied by larger, older and more dominant territorial lions that live inside the park. They were young lions that had been kicked out of their prides by their own mothers and fathers; young lions that were, thereafter, unable to find a home range (place to live) of their own inside the park because all “vacant” areas are filled up with more dominant lions; young lions that, to save themselves from being killed by these bigger lions, dispersed from the national park in search of a safe place to live (where there were no bigger lions in occupation), found themselves in man-occupied territory outside the park boundary – where they started to kill cattle. This has happened – just like it happened this week – for many many years around the periphery of the Kruger National Park. And it is happening like this around many other National Parks all over Africa, all the time, too. Young lions dispersing under pressure in a national park that is saturated with lions; becoming stock-killers; and being shot by the land owner whose cattle they have killed. The farmer is within his moral and legal rights to do what he did – shoot the culprits. Before any member of the public passes judgement on the farmer, he or she should put himself, or herself, in the farmer’s shoes: If YOU had been that farmer – faced with a group of stock-killing lions killing your prized cattle – what would YOU have done? Outside Kruger National Park, remember, the farmer has the greater right to defend his own livelihood! These young lions, without a territory of their own, are called “nomads”; and they are “surplus” to the Kruger lion population. 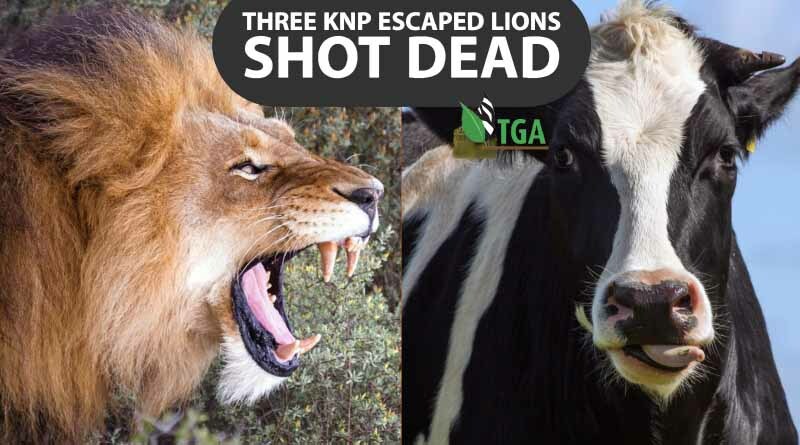 Killing these nomadic lions does not adversely affect the lion population of Kruger National Park at all, which I have read, fluctuates in number from something like 1700 animals to 2300, annually (which differing numbers reflect good lion-years and bad lion-years). Mortality in cubs born each year is huge – which is a natural phenomenon. And despite that, the lion population of Kruger remains numerically fairly stable. There is, therefore, no shortage of lions in Kruger National Park. And catching these nomads, and returning them to the park, does neither the nomads nor the resident territorial lions, any good at all. In fact, everybody concerned would be better off if such stock-killing nomads were to be shot by fee-paying hunters – to compensate the farmer for his stock losses. One of the purposes of the True Green Alliance (TGA) is to educate the general public about such matters – the principles and practices of wildlife management – which we shall continue to report upon to the man-in-the-street as honestly as we can. We have the experience in wildlife management matters to be able to do this. The TGA is concerned, however, that when young and/or inexperienced journalists get hold of such stories that they don’t report “the facts” (which a good journalist SHOULD do), they report “their opinions of the facts” – laced with high emotion – and in doing that the truth is distorted. It also does a great deal of harm to public perceptions. And public perceptions, when they are thus skewed, does a lot of harm to the wildlife resource concerned. The TGA is concerned, however, that when young and/or inexperienced journalists get hold of such stories that they don’t report “the facts” (which a good journalist SHOULD do), they report “their opinions of the facts” – laced with high emotion – and in doing that the truth is distorted. It also does a great of harm to public perceptions. 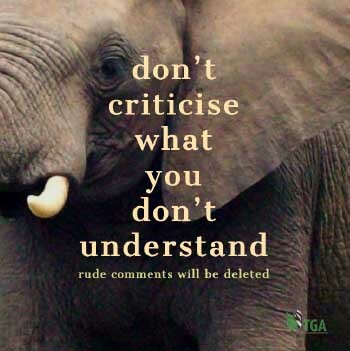 And public perceptions, when they are thus skewed, does a lot of harm to the wildlife resource concerned. The above is an honest evaluation of the story about the lions that “escaped from Kruger National Park”.